Played with a cue ball and a normal rack of 15 object balls. The primary purpose of this game is for one player to pocket the solid balls numbered from 1 to 7 or the striped balls numbered from 9 to 15, and then marking and pocketing the 8-ball before his opponent. Choice of balls to be pocketed is made by the player legally pocketing the first ball of the game. For example, if the first ball pocketed in the game is the 3-ball, then the player must pocket the rest of the balls from 1 to 7 while the opposing player attempts to pocket all the balls from 9 to 15. The turn passes from one player to the next whenever the shooter fails to pocket a ball of his category or fouls. A player legally pocketing a ball of his category must continue to shoot. Winner of the game is the player pocketing his numerical group of balls first, followed by legally pocketing the 8-ball. 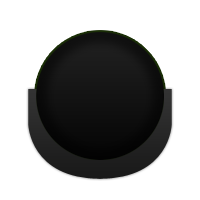 The 8-ball must be pocketed in a marked pocket. A coin flip determines which team picks a player to shoot the night's first match. When a player is chosen they are announced to the opposing team. The opposing team then looks at the Skill Levels listed on the scoresheet and uses this information to decide who on their team is best suited to play that player and the match is set. Every APA player is assigned a "Skill Level" which lets teams know what the approximate playing ability of each player is. A player's Skill Level also dictates the number of games that a player must win in order to win their match. Under The Equalizer® Handicap System, a chart can be found on the scoresheet and is used to determine the number of games each player must win in a match. Once both players are chosen, the match is started and the players race to be the first one to win their assigned number of games. The first player to win the assigned number of games claims the match and a point for their team. Five matches are played in one night and points awarded for each match won. A team can win as many as 15 points per night plus bonus points (assuming all fees current & paperwork legible) for a total of 17 points per week. The teams in each division with the most points at the end of the session will participate in a playoff match. Winners will advance to the Tri-Cup event (held 3 times per year at the end of each session).